Come and host your events on our awesome grounds! Your wedding is one of the most important events in your life, and where you choose to celebrate with family and friends will help set the tone for everything that follows. Long after the evening’s final dance and your last guests have departed, the memories of the day’s events will spark a rich sense of anticipation for all the special moments still to come. 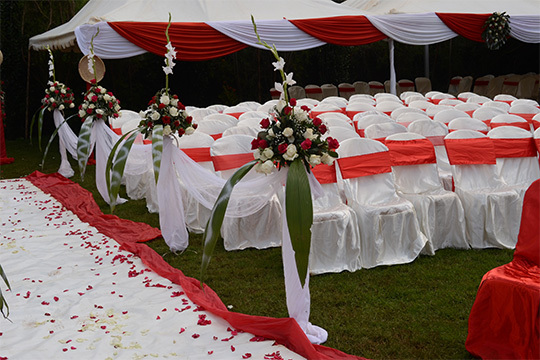 Say “I do” at The Noble Hotel and Conference Centre and let Eldoret’s finest hotel be the place where it all begins. Whether you’re hosting an intimate family affair or a formal ballroom gala, our professional family of event planners, chefs and hospitality staff will see to every detail and ensure that your wedding day is everything you’ve imagined it to be. Our elegant beautifully landscaped grounds offer an array of flexible floor plans, along with a dance floor and stage for a band or DJ. The gardens, with its lush landscaping, offers a wonderful setting for ceremonies and evening cocktail receptions. We know that teamwork is key to good business. That’s why we put together a selection of corporate challenges that can only be successfully achieved by working together. 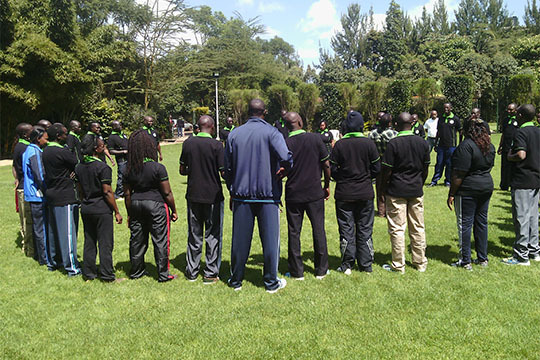 Our original team building events build employee confidence, enhance team-working skills and develop sales and marketing abilities. Not only that, but at the end of the day your team can rest assured that they will leave as a more cohesive and productive unit. Host your luncheons and dinners with us. 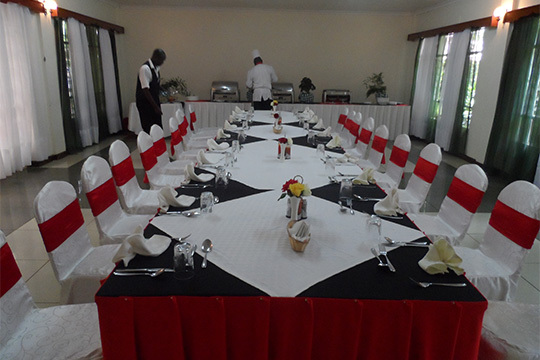 Our well-trained staff, gorgeous dining rooms and restaurant all but guarantee that you’ll have an event to remember. Whatever the occasion, the banqueting menus created by our talented chefs will impress even the largest gathering. To help suit your needs, we are happy to accommodate any request in altering your choice of menu option. Even a simple buffet becomes something special in our hands.